Tottenham reportedly fear missing out on the transfer of Adrien Rabiot as Liverpool, Arsenal and Barcelona look to be in the running. According to the Daily Star, the Paris Saint-Germain midfielder was heavily tracked by Spurs in January before a deal was put on hold late on. The report claims Rabiot’s father died, meaning any decision over the France international’s future has been put on hold until the summer. Rabiot has been one of the finest midfielders in Europe in his time at PSG, but is now in the final months of his contract at the Parc des Princes. This could mean a big move to the Premier League in the summer, with the Daily Star mentioning Liverpool and Arsenal as suitors, with Gunners boss Unai Emery notably working with him before when he was PSG manager. Adrien Rabiot transfer to Tottenham fell through, Liverpool or Arsenal next? Barcelona could also be in the running, however, so he may not end up in England at all, but it’s looking bad for Tottenham. The north London side could have done with Rabiot as a replacement for Mousa Dembele, but they will now surely be at the back of the queue. 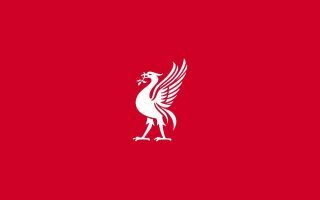 Liverpool also look in need of more quality in midfield after Naby Keita’s slow start at Anfield, while Arsenal urgently need an upgrade on players like Granit Xhaka and Mohamed Elneny, as well as more experienced alternatives to Lucas Torreira and Matteo Guendouzi.